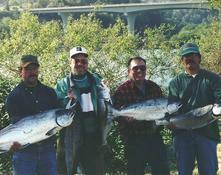 Six pack Charter with year round fishing targeting Salmon, halibut & lingcod; all fishing gear is provided. We are USCG licensed & safety equipped, with the safest bar crossing on the Oregon coast. Enjoy the wide open action on the scenic pacific coastal waters with Captain James Bithell aboard our beautifull 24 foot Clippercraft cabin cruiser. Charthouse Sportfishing is family-owned and operated right here in Brookings, Oregon Since our company opened its doors in 1998, we’ve treated every customer like they were a part of our family. 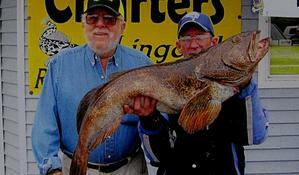 Are you tired of the crowded "cattle boat" feeling, then Charthouse Sportfishing is for you.